Remarkable beer, made with passion. We have always searched for fine gastronomic experiences……..a quest that has led us to develop our own range of quality beers that are characterised by soft flavours, harmonious balance and a well rounded finish. Ales with elegance! 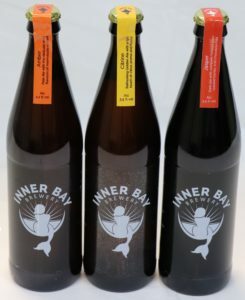 Inner Bay Brewery is an artisanal, family run brewery using traditional ingredients and methods. All of our beers are produced in small batches ensuring the highest quality and flavour experience.